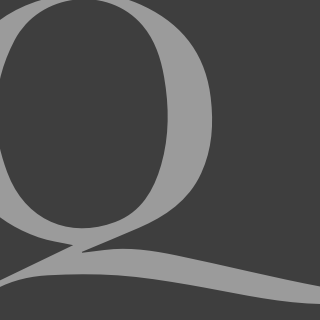 This essay was first published in Quadrant, April 2007, and is republished to mark Jacques Barzun’s 104th birthday. 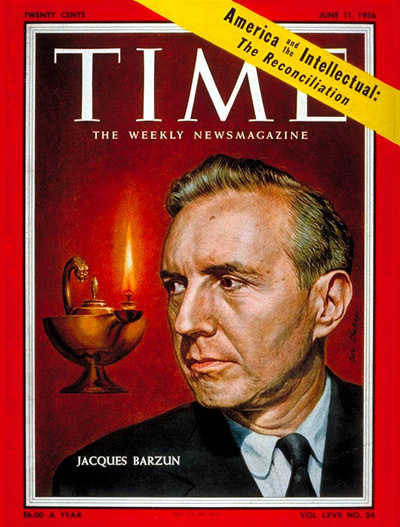 The reputation of Jacques Barzun (who was born on November 30, 1907) achieved a remarkable boost when his massive and scholarly book From Dawn to Decadence appeared in 2000 and quickly became a surprising best-seller. This was not entirely a new experience for Barzun because he had been touched by the fickle flame of popularity in 1956 when he featured on the cover of Time magazine. However, his profile waned during the 1960s when his brand of deep but politically disinterested scholarship fell out of fashion. In the author’s note, Barzun advised that he set out to be “selective and critical rather than neutral and encyclopedic”. Those who have tried to read this wrist-breaking 900-page tome in bed will be pleased that he did not set out to be more informative, and that the scope of the work was only the last 500 years. The book can be seen as a contribution to the culture wars. Subtitled “500 Years of Western Cultural Life—1500 to the Present”, the aim is to counter those who would either build a wall against the past or, alternatively, draw upon the past to support the case of the adversary culture against the whole project of Western civilisation. When I was just beginning to teach, about 1935, I thought I would write a history of European culture from 1789 to the present. I was dissuaded from it by a friend of my father’s who was the director of the Bibliotheque Nationale. I was doing research there and he asked me what I was doing, and I told him, and he said, “Oh, young man, please don’t do any such thing. You’ll write about things that you know at first hand, and you will fill the rest out with things you get out of secondary texts. There’s no need of that at any time.” So I said, “How long should I study original works before I begin?” He said, “Well, why don’t you wait until you are eighty.” I think I waited until I was eighty-four, eighty-five. You may like to think of culture—I often do—as an enormous pumpkin, hard to penetrate, full of uncharted hollows and recesses for cultural critics to get lost in, and stuffed with seeds of uncertain contents and destiny. The sheer bulk of his output is prodigious, bearing in mind his other commitments, including two marriages and children. He wrote or translated over thirty books, edited a similar number and contributed countless chapters to others, plus journal articles, introductions and forewords for books by other authors. As if that is not sufficient, as a student he wrote detective novels, book reviews and other pieces under a pseudonym. Barzun grew up in Paris and Grenoble, the only child in a household where his parents conducted a modernist salon. His father worked in the Ministry of Labour but his heart was elsewhere. He wrote novels and poetry and hosted the likes of Apollinaire, who taught Jacques how to tell the time on his watch, and Marie Laurencin, who painted his portrait. Other regular visitors included the painters Gleizes and Duchamp, the composer Varese and foreigners such as Ezra Pound, Richard Aldington and Stefan Zweig. Members of the older generation such as Andre Gide also appeared occasionally to find out what the wild young men were up to. During the war his father was withdrawn from active service to undertake diplomatic missions, and after a journey to America he offered Jacques the alternative of completing his studies at a leading British university such as Oxford, or a leading American college. The young Barzun had been reading James Fenimore Cooper and other books about the Red Indians, so he opted (hopefully but unrealistically) for New York. He completed high school in the USA and in 1923 he entered Columbia College, graduating four years later at the top of his class. This earned him a lecturing position at Columbia University where he became a full professor in 1945, Dean of the Graduate Faculties in 1955, and the inaugural Dean of Faculties and Provost of the University in 1958. This level of involvement in administration by a serious teacher and scholar has few parallels and it adds authority to his account of the travails of the universities that flowed from their mushroom-like growth. In 1967 he resigned from his administrative duties and focused on teaching and writing until his retirement in 1975. Subsequently he continued writing, lecturing and working in various posts including Literary Adviser to Scribner’s, a directorship of the Peabody Institute for Music and Art at Baltimore, and membership of the Board of Editors of the Encyclopaedia Britannica. He started teaching as an undergraduate, tutoring students of French. Two of his middle-aged pupils showed so much benefit from his assistance that the head of the department in a major university invited Barzun to a meeting. He laughed aloud when confronted with a seventeen-year-old, who he had contemplated offering an instructorship. As a postgraduate student he formed a small commercial venture with some colleagues, “a perfectly legal and honest tutoring mill, whose grist managed to renew itself as we managed to put the backward rich through the entrance exams of famous colleges not our own”. During that period he also wrote short crime fiction and book reviews under a pseudonym. One of the books furnished him with a formative experience. Whitehead’s Science and the Modern World convinced him that there was no essential tension between the “two cultures” and ever after he envisaged science and the arts as potentially harmonious joint tenants in the house of intellect. A big bruiser of a student whom I had failed came to my office threatening bodily harm, then hounded me by phone, wire and letter, pleading that I should pass him “in the name of Christian brotherhood” for he had “powerful friends in Brooklyn”. Nothing happened, but two years later, the tide turned in my favour. Another student, an impressive-looking middle-aged man in an Extension course, made a point of showing his gratitude, first by inviting me to his Turkish restaurant and then intimating that if I had any enemies he would only be too glad to get rid of them for me gratis. Barzun: I had no Marxist colouring, such as they had … I stood aloof, although not hostile, and I take it they weren’t hostile to me. They deplored my blindness. Barzun: Yes, I was always against the current. Eliot of course got it from Babbitt, who got it from the French eminences of anti-Romanticism. What I read about Romanticism didn’t agree with what was said about it. Everything in the books was contrary to fact and legitimate conclusions of fact. Including all sorts of fabrications, simply lies that had gotten into the critical stream and were reproduced over and over again without being checked. Barzun: Well, I would call that the historian’s detachment. The daily newspaper told us what uses could be made in our own century of the protean idea of Race. No longer was race simply one among many issues. The appeal to race, class or nation was in truth an epidemic attempt to supply a new motive power for social evolution. It expressed a desperate desire to breathe life into the two European idols of Progress and Determinism. At that point Barzun wrote On Human Freedom in an attempt to offer a civilised alternative to old idols and new dogmas. The next major instalment in his project was Darwin, Marx and Wagner: Critique of a Heritage (1941). The nomination of Wagner rather than Freud in the trinity of emblematic modern minds is a sign of Barzun’s profound interest in music and the arts. He argued that these men achieved their reputations by catching the spirit of the age, like surfers on a wave, backed by the formidable public relations exercises mounted by their followers. This earned them the status of intellectual icons despite their lack of originality and the significant flaws in their systems. He described in some detail how all the leading ideas of evolutionary theory, socialism and the leading role of the artist were commonplace for decades before the big three started work. Barzun’s critique of the cult of evolutionary theory and the canonisation of Darwin himself is impressive but it is difficult to identify where Barzun stands on the scientific status of evolutionary theory, and this is the least convincing part of his work. He appears to be dissatisfied with materialism and determinism without explaining whether he adhered to vitalism, or some form of mysticism or religion. This underlines the problem of pursuing such a wide-ranging research project without the assistance of co-workers, so his reach may have exceeded his grasp at some points. This is especially apparent when he attempted to locate his work in the context of twentieth-century physics and biology, where he was operating too far from his base in history and cultural studies. In the course of writing about Darwin, Marx and Wagner he discovered how the movement of ideas around 1800 labelled Romanticism had been distorted and misrepresented by subsequent commentators. That became the topic of his next book, Romanticism and the Modern Ego (1943). He suggested that the Romantic movement had brought back into favour some important ideas connected with social purposes and human attributes that the materialism of the eighteenth century and the violence of the French Revolution had obscured. However, these valuable elements had been swept aside in a wave of unscholarly denigration. The early, or Romantic part of that [nineteenth] century was held in particular detestation and contempt: it was naïve, silly, wrongheaded, stupidly passionate, criminally hopeful, and intolerably rhetorical. The word “romantic” in fact stood for these defects wherever they might be found … As a student of history, and particularly of cultural history, I thought I saw clear evidence that the twentieth-century notion of Romanticism was an illusion. As for a change of direction in our culture, I would have welcomed it whatever its form—classical, primitive or archaic. It struck me, however, that a true change would require a break, not with what had happened a century earlier or with its lifeless imitations, but with what had happened only thirty years before with Impressionism and Symbolism, which had done their work and could be deemed new and fresh only by virtue of a cultural lag. In his book on romanticism Barzun laid the foundation for subsequent writing on art and aesthetics in the twentieth century, of which more later. He moved on to a series of works on the education front, starting with Teacher in America, first published in 1944. This is a tour de force of the major deficiencies and impediments in the education system from school to college, ranging from the notion that learning has to be fun, various misguided fads promoted in teacher training schools, and the soul-destroying drudgery of the PhD ordeal. The intellectual class has been captivated by Art, overawed by Science, and seduced by Philanthropy. The damage done by each has been that of heedless expansion combined with a reliance on the passage of time to restore order and decency. He described some problems that result from the well-meaning efforts of foundations and corporations to ameliorate the human condition by funding university-based research and the international exchange of ideas. One is the impact on departmental budgets when foundations give short-term grants (with inadequate allowance for overheads), and the beneficiaries expect to be kept on in perpetuity. The other is the diversion of effort from serious long-term projects into preparing grant applications to attract funding for “exciting and relevant research” and preparing papers (similarly exciting and relevant, and identifying the need for further research), for international conferences. Barzun anticipated some sceptical comments by C. Wright Mills, who described conferences as junkets to permit professors to pursue their feuds and vendettas in exotic locations while younger players scramble for positions in the academic marketplace. If science students leave college thinking, as they usually do, that science offers a full, accurate, and literal description of man and Nature; if they think theories spring from facts and that scientific authority at any time is infallible, and if they think that science steadily and automatically makes for a better world—then they have wasted their time in the science lecture room and they are a plain menace to the society they live in. The downside of that situation is the durability of “creation science” in the USA, where the practitioners can play on the general lack of understanding of the provisional nature of scientific findings at the frontier of knowledge and the critical and imaginative approach required for good scientific research. In 1968 he published his revealing and extremely well-informed account of the alarming tendencies in American higher education due to the explosive growth in the universities at a time of great confusion about their aims and about the traditions and disciplines which nurture learning and scholarship. As if to underline his concerns, The American University appeared in the very year that students around the world started setting fire to their campuses, including his own. The conflagration started in time for him to put a note in the preface to state that this did not prompt him to change a word that he had written. The Australian universities, in their rapid expansion and loss of focus, followed much the same path, a decade or two behind the US lead, without anyone visibly learning anything from the US experience that was clearly spelled out in 1968. The name of Barzun appears to be missing from the debates that have raged on higher education in this country, which suggests that his work in this area was done in vain so far as our academics and intellectuals are concerned. There was this new surge of creation, inventiveness, new techniques, which gave promise that the 20th century would be one of the great productive periods of Western culture. It all collapsed into the tensions of the First World War. There were hundreds of thousands of gifted people killed. They were part of a break; they made a chasm. The generation that came to literary and other activities in the Twenties were very young men who did not have their elders’ guidance and lacked a sense of resistance to their elders, both of which are necessary to true literary creation. Art in this function has helped to undermine the assumptions that the state and civilized society are valuable or admirable, thus impairing the effectiveness of political and social institutions and proving the destroyers’ own case. By linking the growing interest and respect for art in modern times with the “dominance of bourgeois values” art has effectively turned on art itself by becoming a vehicle for every kind of assault on traditional standards of beauty, craft, morality and commonsense. This was written thirty years ago and all that has changed is the increased number of students who are exposed to more advanced “theory” to justify the assault of Art on our senses and sensibilities. In the fourth lecture Barzun moved on to another piece in the crazy pavement of modern art, the function of art as redeemer, linked with the concept of art as a substitute for religion. He accepted the common ground, that the power exerted by great art on receptive persons is a religious power, and he pursued the consequences that can follow when that kind of influence is not checked by critical thinking and a sense of history. He discussed the individual and collective forms of salvation through art that have been promulgated for 200 years. By the term collective salvation he means the appeal of revolutionary art which offers the artist a special role, first as evangelist and later as beneficiary, in the utopian society brought about by the revolution. For Rousseau a painting was a primary surface on which he relied physically as a means for the projection of his thought [Translation: Rousseau wanted to paint on canvas]. Rousseau does not copy the exterior aspect of a tree: he creates an internal rhythmic whole conveying the true, grave expressionism of the essentials of a tree and its leaves in relation to a forest … But his style was established neither derivatively nor in obedience to fashion. It stemmed from the determination of his whole mind as it incarnated his artistic ambitions. [Rousseau painted just as he liked, and he liked painting trees]. As Barzun approaches his centenary he can look back on a body of scholarly work that few people can equal. However, he is entitled to be disenchanted with the apparent failure of this body of work to exert the humanising and invigorating influence on cultural studies that one would have expected. It may be that he has suffered instead of gained by the expansion of the universities. William W. Bartley, in his posthumous collection of writings on scholarship and the universities, Unfathomed Knowledge, Unmeasured Wealth (1990) propagated the counterintuitive idea that the expansion of the universities, more especially the dissemination of examinable knowledge, represents a threat to the growth of knowledge and even to literacy itself. Such a view would have been regarded as ludicrous when 3 per cent of people went to universities, but nowadays with 30 per cent (and some talk of 60 per cent) it looks more plausible. Clearly Barzun challenged too many academic empires. Also, like some other original and independent scholars such as Edmund Wilson and R.G. Collingwood, he did not establish a significant school or following. This is apparent in the collection of papers in his honour, From Parnassus (1976), which is disappointing in the very ordinary quality of the contributions. Moreover the biographical piece by Lionel Trilling is practically useless, because Trilling fell ill and died, leaving little more than rough notes. This is most unfortunate because Trilling, as a longtime colleague and friend off campus, might have shed some light on little-known aspects of Barzun, such as the unbuttoned man in his domestic setting, and some insights into the demons and aspirations that drove him to read and write so much.